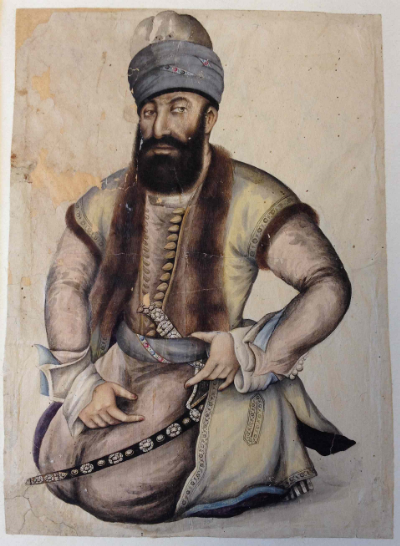 Azad Khan Afghan was a Suleiman Khel Ghilzai , who joined Nadir Shah Afshar's army probably after the fall of Kabul in 1738 , and participated in subsequent campaigns in India and Iran. At the time of Nadir’s assassination in 1747, he was second-in-command to Amir Aṣlan Khan Qerqlu Afshar, the governor of Azerbaijan. He defected in the field to Nader’s nephew and would-be successor, Ibrahim Mirza, thus helping to defeat Aṣlan Khan’s bid for power and earning for himself the sobriquet of khan . When in 1749 Ibrahim was in turn defeated by the forces of Shahrukh Shah, Azad Khan attached himself and his 10-15,000 Afghan cavalry to Mir Sayyed Moḥammad, the superintendent of the shrine at Mashad, who ordered him to withdraw toward Qazvin .He withdrew to the western frontier and took service with Khaled Pasha, the Kurd governor of Ottoman-ruled Shahrizor ( situated in the southeastern part of Iraqi Kurdistan) . Azad next aided Naqi Khan Qasemlu Afshar to oust his brother Mahdi Khan from Tabriz. By dint of alliances with other local Kurd and Turk leaders, and a politic of submission to Erekle (Irakli Khan) , the regent of Georgia—whose daughter he married—Azad rose by 1752 to control all the territory between Ardabil and Urmia. . However, Erekle’s power kept Azad from expanding north of the Aras river, and in spring 1753, he seized an opportunity to annex the central Zagros provinces and perhaps win a controlling interest in a restored Iranian monarchy. He was invited by the Baḵhtiari leader ʿAli-Mardan Khan and his allies, who were advancing from Baghdad with a Safavid pretender in tow, to assist them in capturing the strategic fortress of Kermanshah, then held by the de facto regent of western Iran, Karim Khan of the Zand tribe. However, the Zand army defeated this force before Azad could effect a junction, and the Afghans opted for a quiet retreat. Karim Khan pursued and attacked them, but was completely routed . Azad swiftly marched on the Zands’ home fortress of Pari, near Malayer, captured it by trickery, and sent seventeen Zand khans and fifty women and children—including Karim Khan’s mother—as captives toward Urmia. However, these overpowered their guards en route, escaped, and rejoined Karim Khan at Borujerd. 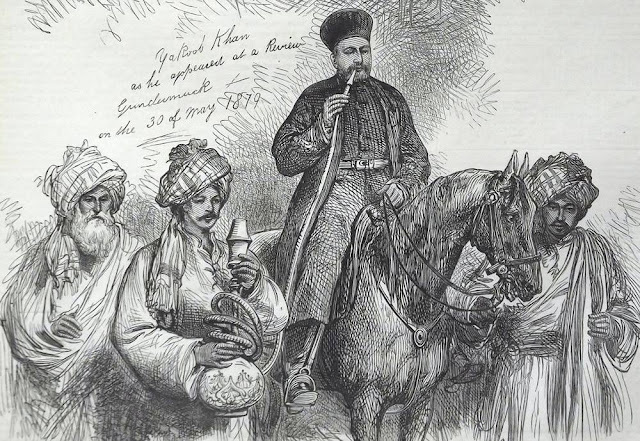 In spring, 1754 Azad and Fatḥ-ʿAli Khan Afshar dislodged Karim Khan from his winter base of Qomesh and, having occupied Shiraz, harried him progressively to the very edge of the Iranian plateau near Kazerun. But with the help of a local leader, Rostam Khan Ḵeshti, the Zands ambushed and routed Fatḥ-ʿAli’s forces in the steep defile of Kamarej; Shiraz was delivered to the Zands by fifth columnists on 29 November 1754 , and Āzad’s fortunes were henceforth to decline. 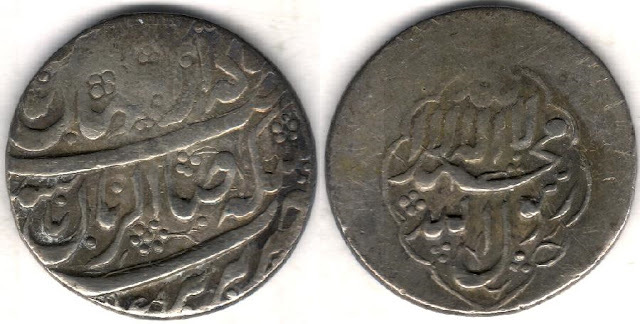 Threatened by the Qajars of Mazandaran under Moḥammad-Ḥasan Khan, Azad fell back from Isfahan and, by early 1756, to Urmia. In August he took advantage of an unsuccessful Qajar siege of Shiraz to reoccupy Isfahan, then pursued the retreating Qajars to the Caspian coast. But in a surprise winter attack at Rast, Moḥammad-Ḥasan drove Azad back into Azerbaijan. First Tabriz fell then, after a last pitched battle in June, 1757, Urmia surrendered to the Qajars, and Azad fled with a few followers to refuge in Baghdad. In July 1758, Muhammad Hasan's loyal governor of Mazandaran massacred most of the Afghans who had been allowed to settle around Sari after Azad's defeat. In 1759, thousands of Afghans were massacred all over northern Iran by Zands - reputedly 9000 in Tehran alone - and those who escaped were hunted down and killed as far away as Yazd. During 1759-60, Azad made at least one further attempt, with the encouragement of Solayman Pasha of Baghdad and Erekle of Georgia, to regain his hegemony in Azerbaijan; but his erstwhile allies, including Fatḥ-ʿAli Khan Afshar, combined to defeat him decisively near Maraga. Azad took refuge at the court of Erekle in Tbilisi for the next two years . In 1762 Karim Khan, having subjugated all of northern Iran, invited Āzad to surrender. 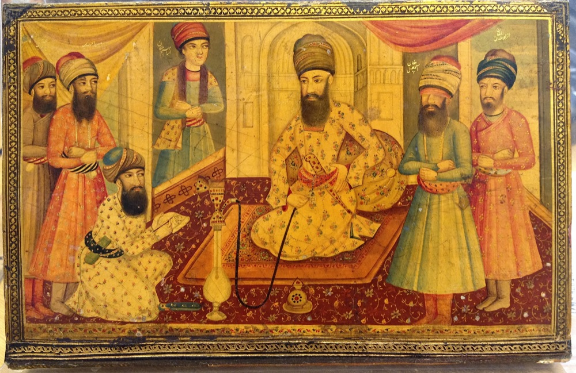 The Afghan ended his days comfortably in Shiraz as an honored pensioner of the generous Zand ruler, and on his death in 1781 was taken to Kabul to be buried in accordance with his will. Azad is characterized as brave and chivalrous . 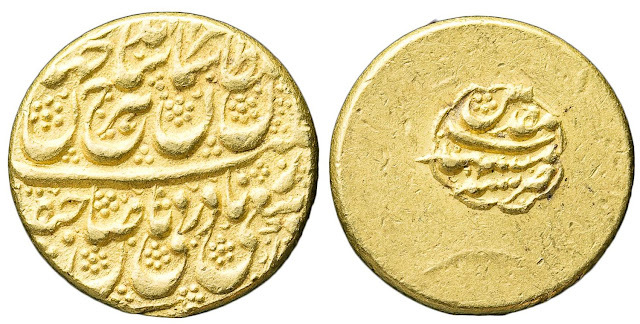 He appears to have harbored ambitions to carve out a neo-Safavid, or even neo-Ghilzai, Iranian empire; but unlike his rivals for power, he remained an alien without any lasting source of support in western Iran—a Sunni Afghan with no urban or tribal-territorial base, and who was never able to acquire a Safavid scion to legitimize his authority. The Ghilzai in Afghanistan had been destroyed as a power by Nadir, and were replaced in the 1750s by the Abdali . Most of Azad’s Ghilzai followers in Iran, both troops and non-combatant settlers, were massacred in 1758-59 during his Baghdad exile—first by the Qajar governor of Mazandaran and then by the Zands.